Michigan Republicans kept control of both the House and Senate in the Nov. 6 election, despite receiving less votes than Democratic candidates statewide. GOP Legislature candidates received less than 50 percent of total votes statewide, but the party still maintained a 58-52 advantage in the House, and 22-16 majority in the Senate – even in an election when Democratic candidates won for governor, secretary of state, attorney general and several other major offices. Bridge Magazine examined results in dozens of legislative districts, and found that Democrats typically needed huge surges to flip seats – and even then often came up short. In the House and Senate districts Democrats flipped, they averaged a 16 percentage point swing from the party’s performance in the district in 2016. That wasn’t enough in 18 House districts, where Democrats narrowed the gap with Republicans by 10 to 25 percentage points – and still lost. When Democrats won, they had blowouts – winning House seats by an average of 41 points and Senate races by 35, double the margins of Republican victories (21 and 18). To be sure, a host of factors influence elections, from incumbency and the strength of individual candidates to fundraising. Evidence in an ongoing federal lawsuit from the League of Women Voters challenging the constitutionality of the 2011 redistricting process has produced emails and evidence showing Republicans and consultants worked together to draw districts favorable to the GOP. Others, especially Republicans, say Michigan’s boundaries reflect a state where the majority of Democrats are clustered in southeast Michigan. They argue laws limit manipulation and require lines be drawn to keep municipal boundaries intact. When asked about Bridge Magazine’s analysis on Thursday and whether Republicans could claim a mandate, incoming Speaker of the House Lee Chatfield didn’t directly answer the question but pledged to work with Democrats including Gov.-elect Gretchen Whitmer. “The sword always cuts both ways when it comes to elections and there will be states in the country where the GOP potentially won the popular vote in the state but the Democrats may hold majority, and it depends on where people choose to live, work and raise their family,” Chatfield, R-Levering, told Bridge. “I think it's important that each person coming here (to the Legislature) best represents their constituents." The process will change in a few years. A statewide ballot measure passed Nov. 6 aims to radically change how the maps are drawn. Proposal 2, backed by 61 percent of voters, calls for a citizens’ commission of Republicans, Democrats and Independents to draw the next set of maps in 2021. Famously home of so-called Reagan Democrats – union members who sometimes vote Republican – Macomb County is one of the biggest swing counties in Michigan. In 2016, voters there favored Republican Donald Trump over Hillary Clinton for president 54-42. Last month, voters backed Democrat Gretchen Whitmer for governor 50-47. Even so, none of the county’s legislative seats changed parties. The Republicans kept a 2-1 advantage in the Senate and a 5-5 split in the House. The GOP was able to keep power in Lansing because of candidates like Republican Michael MacDonald – and boundaries like the 10th Senate District. MacDonald survived a 21-point swing toward Democrats, and held on to beat Democratic former state Rep. Henry Yanez by 4.6 percentage points, about 5,100 votes. Just four years earlier, Republican Tory Rocca won the seat by 25 points. MacDonald prevailed because he carried Macomb Township. He won the Republican-leaning community by 6,145 votes, while losing the rest of the district by nearly 1,000 votes. Macomb Township hadn’t been part of the 10th District until the 2011 redistricting, when Republicans also changed boundaries to put the reliably Democratic city of Roseville in the 9th District (which Democrat Paul Wojno won handily). For opponents of gerrymandering, the results are proof of “packing” – the practice of putting as many voters of the minority party into one district to dilute the power of their overall vote. TJ Bucholz, a Democratic political consultant, said the results are unsurprising. “That’s what reapportionment is all about – whoever is in power sets the rules,” he said. Jamie Roe, a Republican consultant who lives in the 10th District, attributed MacDonald’s victory less to gerrymandering than to old-fashioned campaigning. He said Yanez campaign leaned too heavily on attacking MacDonald for a 2007 DUI arrest. He defended the redesign of the 10th, saying voters in Sterling Heights had more in common with Macomb Township than with voters in Roseville. Emails from the 2011 redistricting process have uncovered several emails from Roe, who at the time served as chief of staff to former U.S. Rep. Candice Miller. In one, he writes that a redrawn 9th Congressional District is “perfect” because it looks like it’s “giving the finger to Sandy Levin,” the longtime Democratic incumbent. Countywide, voters favored Democrat Gretchen Whitmer over Republican Bill Schuette 57-40 percent. Even so, Democrats only broke even in the House, turning a 9-5 GOP majority to a 7-7 split. Yet three other Oakland County GOP districts remained in Republican hands despite huge swings toward the Democrat. Sam Wang, a Princeton University neuroscience professor and head of the Princeton Gerrymandering Project, which seeks to find solutions to partisan gerrymandering, said the fact that Republicans still in control the House four elections after the maps were drawn proves their potency. “Yes, the stability of the state House breakdown since 2012, in spite of swings, is a sign of an effective gerrymander,” Wang said in an email conversation with Bridge. The results also reinforce an uncomfortable truth for Democrats: They have trouble winning in rural areas, either because of the layout of the districts or the party’s message and image. Democrats didn’t win a Senate seat north of Flint or in any county touching Indiana or Ohio. Their 16 senate seats are in Metro Detroit, Flint, Kalamazoo, Grand Rapids and Lansing. Democrats only did marginally better, geographically, in the House, holding on to a northern Michigan seat (surrounding Marquette). But all other wins include cities or are in Lansing or Metro Detroit’s suburbs. In some cases, Republicans won by even bigger margins in rural areas in 2018 than they had in 2016. 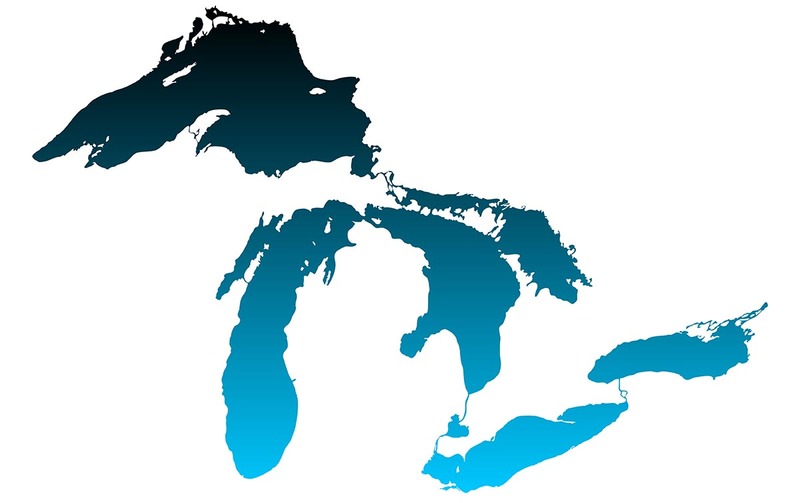 They even flipped a western Upper Peninsula House district that had been held by a Democrat. State Rep. Tim Griemel, Auburn Hills, the Democratic minority leader who was term-limited out this year, concedes the difficulty facing his party in areas outside of the cities and suburbs. “If Democrats want to win rural areas, Democrats need to focus on an economic message, which offers something to farmers and to relatively low-income people who are struggling,” said Greimel, who lost ran in the Democratic primary for the 11th Congressional seat ultimately flipped by Democrat Haley Stevens. Staff writer Riley Beggin contributed. Given the slam-bang job democrats have done with their control in states like Illinois and California, this just might be a good thing. I've yet to hear anyone at The Bridge write about how they intend to stave of their respective state bankruptcies in the not-too distant future. And to address Rep. Griemel's statement, the reason why democrats cannot get any traction in rural areas is because people living there know full well what he is selling them. The government cannot give anything to someone, that it hasn't already taken from somebody else. And what it can take from someone else, it can just as easily take from you. All three states with far higher per capita incomes than t hose earned in Michigan, all three states are donor states to the federal government, residents of all three states have far longer lifespans than those in red states like Texas and Mississippi. Meanwhile, under Republican control, the federal deficit has exploded. Really? this is "what aboutism" at its worst. Having a fair election process that doesn't discount an individual's vote - a GOP vote in Ann Arbor counts for nothing under gerrymander (packed district) just as Dem one counts for nothing Jackson (cracked district). This is corrosive to democracy. Regarding state finance, FYI here is a decent study / ranking of state fiscal status. Generally speaking the states (eg California, NY and Illinois, but this issue is very broad and impacts many states) that are struggling with solvency issues have large long term commitments for State Employee and teacher pension and retiree medical benefits. The funding status of these plans took a big hit in 2008 (we can have a sidebar on the "very capable" Bush administration management of financial markets...) , at the same time that a wave of baby boomer employees was set to retire. The issue was compounded by the fact that our states were not required to use accrual accounting for OPEB type benefits until fairly recently under GASB statutes, so the funding status of these plans was masked to state legislatures for many years when they could have been more proactively funding the benefits. They will have to reckon with these OPEB and pension liabilities, but this is a complex issue because benefit promises are typically embedded in binding contracts with employees and cannot be unilaterally cut back, any more than in the private sector CBAs. The Illinois GOP (article below) is dodging pension issue and their budget proposals therefore do not address structural deficit issues. We are absolutely struggling with this issue in Michigan's budget. Policemen, firemen and teachers typically work for lower pay than comparable private sector employees in exchange for decent retirement benefits, something that private employers blew up long ago. The Michigan GOP talks tough, but has historically been unwilling to attack police and fireman benefits. I personally believe that these public servants work their asses off for these benefits and would rather see their benefits properly funded than say, a billion dollar tax cut for business we saw under Snyder. These pension benefits, when paid, typically get put directly into the consumer economy, the retiree medical benefits also fund hundreds of thousands of healthcare jobs in Michigan. This direct impact is not as clearly the case with business tax cuts, that can be demonstrated to be diverted into the stock market and similar non consumer economy investments (e.g., real estate) when actually demand for goods and services do not require businesses to put the tax cut into the business itself. You should try to understand the complexity of these issues first rather than making facile comments. "Having a fair election process that doesn't discount an individual's vote - a GOP vote in Ann Arbor counts for nothing under gerrymander (packed district) just as Dem one counts for nothing Jackson (cracked district). " This is the political equivalent of unobtainium. Unless you move people of like political views into equal sized districts (and do this every census) or get super "creative" with district boundaries, you're going to have areas in which the examples you cited above exist. As as for the wild tangent you've gone off into regarding financial markets (which can be traced back to starting in 1913...under a democratic administration) & OPEB's, I don't recall reading anything about the problem being less pronounced in governments that were under democratic control. When you promote a philosophy based on feelings over facts, Michigan WILL end up with another "Lost Decade" just like we had the last time democrats who held the governor's office and half of the legislature. I'm not sure why Bridge is running articles like this anymore. Proposal 2 already won. We shall see how the new committee redraws the map. But more importantly, we shall see how many committee members receive paid consultant or board positions from Democrat and Republican organizations during the process, and how "unbiased" the "independent" members are., or how "unbiased" their map drawing training is or how "unbiased" the map drawing vendors are. Untrue. 5 independent members of the commission are "unaffiliated" with the 2 major parties This can include libertarians, green party, etc. That's the problem. Many people who haven't voted any way but one party for years but still claim to be independent with a straight face. With our system there's no way to verify. I voted in the Democratic primary primary last summer and a mix of Ls and Rs does that make me a Democrat, Republican or Independent? You honestly expected the democrats to create a truly "independent" board. A look at those backing Prop 2 should tell you everything you need to know regarding their true intentions. Not so. There will be five persons picked who are unaffiliated with the two major parties. That could include a Libertarian if they make it through the random selection process. But there is no 'preclusion' of those who are not GOP or Dem. To Mr. Graham: There are many, many good consulting firms involved in map drawing that are not wholly owned subsidiaries of one party or the other. The 2011 redistricting was done in secret, behind closed doors, with only GOP firms involved. That will not happen again. Thankfully. Now, please fill in the rest of us EXACTLY how they intend to find someone who is actually an "independent"? No one has yet been able to adequately answer that question. Nor, have they been able to address what will happen someone has been selected, made their decision and then their true political affiliation is exposed. I don't recall hearing or reading anything about the commissions boundary decisions being rendered null and void after that fact, which is the only fair thing to do in a situation like that. “The sword always cuts both ways when it comes to elections and there will be states in the country where the GOP potentially won the popular vote in the state but the Democrats may hold majority...." Chatfield, R-Levering, told Bridge. Just an observation, gerrymandering worked for the Democrats in California too. I am hopeful that commissions can correct this, but commissioners are people subject to pressure and influence too. Lord Acton once said, "Power corrupts and absolute power corrupts absolutely." Bottom line is that Urban areas have a higher percentage of ignorant, exploited and one-issue oriented voter. That is not good for America. And, the youth in this country are ignorant being misled on history and education; and Black Voters have failed to graduate from Politics 101 and have done a poor job in leveraging their vote. Sad. Claiming to respect municipal boundaries – while drawing Congressional districts that ignore metropolitan identity and separate the city of Grand Rapids from the cities of Kentwood, Wyoming, and Walker (contiguous "suburbs" that are functionally integrated with GR in nearly all respects) – is nakedly dishonest. It made no sense to split the GR metro area like this, putting us instead in two sprawling, mostly rural districts, instead of together with our literal neighbors... unless it was to split and dilute the vote of minority Democrats in these cities. It is possible, using the same statistical methods that calculate an empirical vote efficiency, and that have been part of cases lodged against gerrymandering across the country, in states with Democrat and Republican gerrymandered districting, to validate any districts drawn up by the new commission based on recent voting patterns. This should be part of any evaluation process, and if not, such empirical evaluation should be offered up as part of the public comment process under Prop. 2. To be more clear, by applying the same statistical methods the Republicans used behind closed doors to stack and crack the current inequitable boundaries, the Commission can, with complete transparency, guarantee with a level of statistical certainty that no party, Dem. GOP, Green, Libertarian is disadvantaged by the new lines after the 2020 census. This palaver regarding the makeup of the Committee and their secret intentions to obscure their political leanings is beside the point. The statistical processes that have been employed behind closed doors to gerrymander maps in Maryland, Illinois, Michigan, Wisconsin, Pennsylvania, Ohio, North Carolina among other states are the very tool, with transparent use, top ensure that boundaries are as fair as can be ever possibly constructed.